Nathan Miller comes to the BIA Riverside County Chapter having most recently served as District Director to 40th District Assemblyman Mike Morrell. Nathan is widely recognized in the Assembly for his District Office model adopted by the Assembly Republican Caucus. His “Best Practices” Playbook is now utilized by all District Offices of Republican Assembly members following the 2012 election cycle. 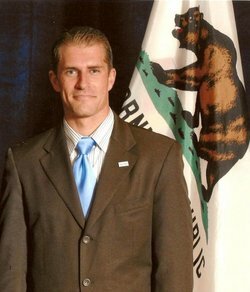 Nathan attended California Polytechnic University, Pomona and received a Bachelor’s Degree in Political Science with completed coursework in physics. Nathan is married to Heather, a Norco native and together they live in Corona with their three children: Max, Michelle and Alexander. Nathan grew up in Manhattan Beach and if he has free time, you will likely find him surfing and at the beach with his family. He and his family also enjoy camping and count Sequoia and Kings Canyon as one of their favorite places to visit. Nathan has served on staff for local state and federal elected officials and has worked with community leaders on a number of wide ranging issues. Most recently Nathan was elected as Trustee for the Riverside Community College District in November 2012. He currently serves as Chair of the Riverside Community College District Facilities Committee and spearheads efforts to close the gap between graduation rates and college readiness. Alyssa Pedvin is from Upland, California where she was introduced to the business world after volunteering and teaching at a start-up martial arts school. Alyssa graduated from the University of California Riverside with a Bachelor’s Degree in Business Economics and a minor in Philosophy. While studying at UC Riverside she became a member of the National Society of Collegiate Scholars in 2009 and worked at the University Recreation Center’s accounting office and front counter. She is currently working towards an accounting certification with the University of California Riverside Extension to help meet the requirements for the California CPA Exam. 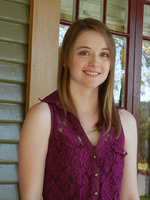 Alyssa spends her spare time honing her drawing and painting abilities, which have allowed for past art competition blue ribbons, as well as enhancing her home arcade.